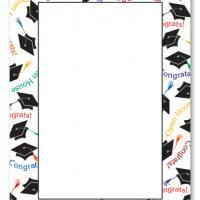 These beige patterned printable graduation invitations with a graduation cap at the top center are ideal for the conservative graduates who are all about the basics. 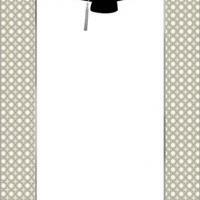 Although simple, these free printable invitations have plenty of room for messages, details about an upcoming party or any other information you'd like to send. 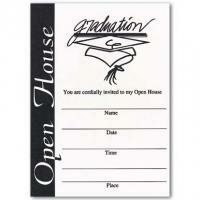 These free printable invitations can even just be used as a graduation announcement to let distant friends and family know the news. 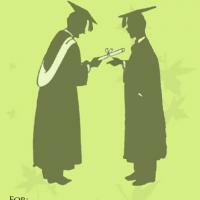 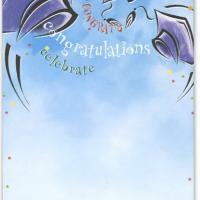 Whatever you decide to use these cards for, they are sure to help you celebrate graduation in style, so print today!